Mulund : In the city’s 40th Heart Transplant, surgeons from Fortis Hospital, Mulund successfully transplanted a donor heart to save the life of a 31-year-old male. The harvested heart, received from a cadaveric donation that took place at Fortis’ S.L Raheja Hospital, Mahim, was transported in 17mins covering a distance of 23kms. The transplant surgery was conducted by Dr Anvay Mulay, Head of Cardiac Transplant Team, Fortis Hospital, Mulund, and his team marking the 40th heart transplant of the city. The recipient from Mumbai was suffering from Dilated Cardiomyopathy and had been wait listed since the past week. The cadaveric donation became possible when a 44-year-old male was declared brain dead following a Cerebro-Vascular Stroke at Fortis S. L. Raheja Hospital. 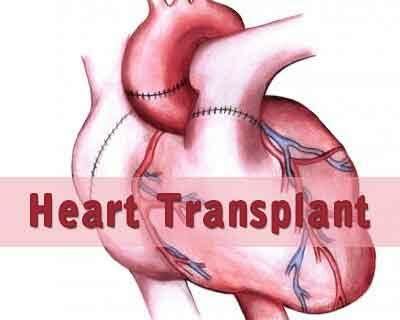 After the family of the patient was counselled, they decided to donate his Heart, Liver and Kidneys. Upon receiving the consent, Dr Anvay Mulay rushed to Mahim to harvest the heart, which began its journey from Fortis’ S.L Raheja Hospital, Mahim, at 03.16AM and reached Fortis Hospital, Mulund at 03.33AM. Swift coordination between Mumbai’s Traffic and Police Authorities helped enable smooth organ transfer across all city hospitals. The live heart reached Fortis Hospital, Mulund following the Green Corridor route laid out from Fortis’ S. L Raheja Hospital – T Junction at Dharavi – BKC – Eastern Express Highway – Airoli Junction – Mulund.